Your face is throbbing–right at the jaw line. You may have an abscessed, or infected, tooth. Don’t wait. Call your Rockledge emergency dentist, Dr. Jeffrey G. Nichols, right away for advice on what to do or for a same-day appointment for the most pressing of dental needs. Teeth, gums and jaw hurt for many reasons, and none of them are trivial. Your mouth and face contain a vast network of nerves that react to injury and disease with pain signals, telling you that something is wrong. Walk-in dentist, Dr. Nichols, wants all his Rockledge area patients to understand the underlying reasons for oral discomfort and what needs to be done to correct it. The most common reason for serious tooth pain is the dental cavity. Basically a hole in tooth enamel, tooth decay often extends down into the soft pulp in the tooth’s interior, leading to sensitivity and pain. Dr. Nichols discovers cavities on oral examination and may x-ray a tooth to see how extensive the damage is. Tooth-colored fillings are the treatment of choice after removal of the decayed material. Sometimes, when a cavity is large, or a tooth suffers fracture, a porcelain crown covers damaged enamel, extending the life and service of the tooth. 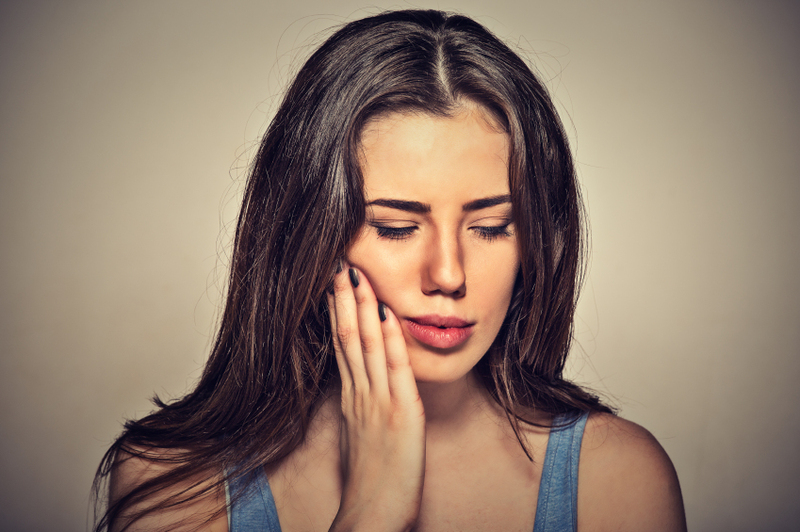 Another reason for a toothache is dental abscess. This problem presents with pain, swelling at the gum and/or jaw, a bad taste in the mouth and reddened, pus-filled gum tissue. Root canal therapy, or endodontics, removes diseased pulp and restores the tooth to full function. Tooth sensitivity from thin enamel or a failing restoration, such as a cracked filling, causes oral pain, too. While waiting for treatment, avoid very hot or cold food and beverages. When a tooth suffers a blow during sports or from an accident, it may be displaced to one side of its normal position. 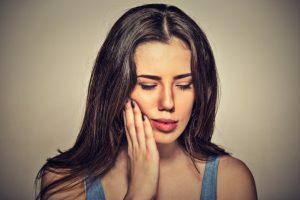 This painful condition requires immediate treatment from Dr. Nichols who can move the tooth back into the right spot and splint it, if necessary, to correct and maintain proper alignment. Pain from sinus infections and TMJ (temporomandibular joint) dysfunction often mimic tooth pain or refers from where it starts to the teeth. In other words, because of nerve connections, it seems as though your tooth hurts, but it’s really something else. Dr. Nichols refers patients to their primary care physician if he suspects sinus issues. Regarding TMJ dysfunction, he may prescribe a custom-made mouth piece to take the pressure off the jaw joint. These appliances work well for painful teeth-grinding issues (bruxism), too. A toothache needs attention. Contact Dr. Jeffrey G. Nichols, your emergency dentist in Rockledge, Florida.